Use Wishpond’s Twitter Group Offer App to entice users to claim a coupon or special offer on a brand’s products and services. The app can run on a brand’s Twitter Profile Page, website, and on mobile. Try Twitter Group Offer App Free for 14 Days. Plans start at $19/month, and include every app. 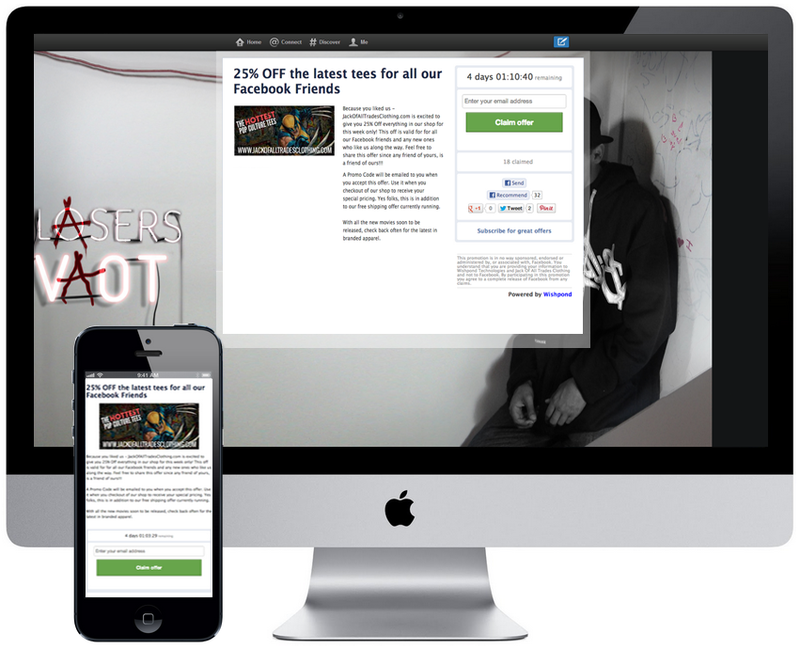 We provide a link to share that directs users to optimized group offer entry pages for both desktop and mobile users. Our Group Offer App can also be embedded into your website in addition to – or instead of – your Facebook Page. Download all entrants’ email addresses. You own them. We never email your entrants. See who entrants follow to target specific followers groups. Track campaign metrics in real-time during the run of your Group Offer. Entrant’s auto-tweet an invite with their friends & followers on their Twitter Feeds. Our Group Offer App is built within all requirements in Twitter’s Promotions Guidelines. Auto-email entrants custom coupon codes to use to claim your offer/coupon in your store. Need to collect more info from entrants than email address? Add any fields you like and download in an excel file. Change every aspect of the Group Offer App’s CSS stylesheet to fit your brand. Our Group Offer App has been translated into 35 languages, including all user-facing text and share messages. All entrants must follow brands’ Twitter accounts to enter promotions on their Twitter Profile Pages. Upload a custom banner image to fit your brand.